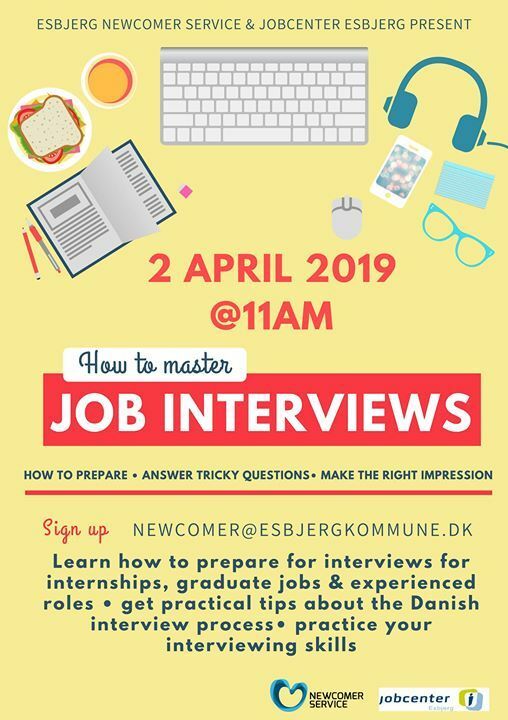 How to master job interviews! Lær at forberede dig til jobinterviews, få praktiske tips til den danske interviewproces og en mulighed for at øve dine interviewfærdigheder. Seminatiet foregår på engelsk. 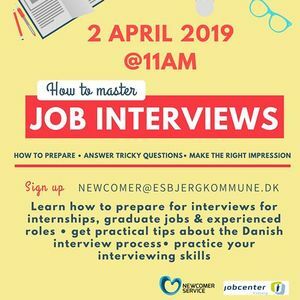 Learn how to prepare for interviews for internships, graduate jobs & experienced roles – get practical tips about the Danish interview process – practice your interviewing skills. The seminar will be in English.